Welcome to My Inky Friends: Carnival of Colors Blog Hop. 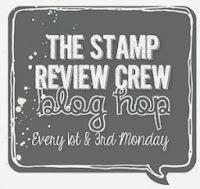 Each blog will be featuring one of the New Stampin' Up! Colors. Please note the blog hop doesn't officially start until noon EST today July 13 some of the links may not work right away. The hop goes through Sunday July 15, 2018. If you have been following the tour in order I am the first stop on the hop or if you started backwards you would have arrived from Betty's Blog Kitty Stamp where she is showcasing the color Petal Pink. Didn't she do an awesome job!!! The new color I am featuring is Balmy Blue. I love this new blue color and you will too! Balmy Blue is like a baby blue but more vivid. It is more blue than the greenish tones in Pool Party. I love this color and it is perfect for baby cards! Gorgeous baby card with the Balmy Blue color. I used the brand new Little Twinkle Bundle (W) item #148413 (C) item #148414 and Itty Bitty Greetings Stamp Set (W) item #146664 (C) item #146667 to create this card. This is a gotta have set it is so adorable! We have 2 babies on the way this year so it was a must have for me! You can purchase these items together as a bundle and save 10%. Another must have set I think! So many fun little greetings in this set. Create a 4 1/4 x 5 1/2 Balmy Blue card base using the Stampin' Trimmer and the Simply Scored Scoring Tool. Cut a piece of Whisper White card stock 4" x 5 1/4". Zip it through the Big Shot Die Cutting Machine with the Oh My Stars Embossing Folder. Cut a piece of Tranquil Textures Designer Series Paper. Take the stamp from Little Twinkle Stamp Set, ink it in Balmy Blue and stamp onto the designer paper to give it a pattern look. Glue it to the bottom of the Whisper White card stock. Tie a piece of the yummy Whisper White 5/8 Polka Dot Tulle Ribbon around the the layers. Adhere the Whisper White card stock to the Balmy Blue card base. Cut a piece of Balmy Blue and Whisper White card stock. Ink the saying from Little Tinkle Stamp Set in Balmy Blue and stamp onto the Whisper White card stock. Using the Twinkle Builder Punch; punch the top right corner of the Whisper White card stock. Adhere the Whisper White and Balmy Blue card stock together. Using Stampin' Dimensionals I placed the greeting onto the center of the card. Using the Twinkle Builder Punch I punched out a piece of Balmy Blue card stock to get the moon and attached it to the card with a Stampin' Dimensionals. Using the Stitched Labels Framelits and Big Shot Die Cutting Machine I die cut out some Silver Glimmer Paper to get the hearts and the decorative Whisper White circle. I stamped sweet baby in Balmy Blue ink using the Itty Bitty Greetings Stamp Set onto the Whisper White circle. I attached all the pieces with Stampin' Dimensionals. To finish the card I placed some Twinkle Adhesive Backed Sequins randomly onto the card. The inside I kept it pretty simple. Cut a piece of Whisper White card stock 4" x 5 1/4". I hope you liked my project now you'll want to head on over to Kris's Blog Paper Fairy Kris where she is featuring the returning In Color Blackberry Bliss and I know you will love her fabulous creations as much as I do! Thanks for hopping with us!